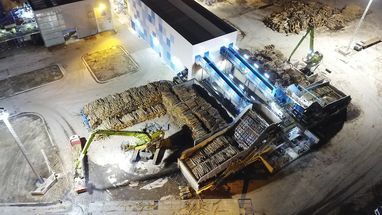 Raumaster supplied Turun Seudun Energiantuotanto Oy (TSE) with a complete fuel handling system for a new multi-fuel boiler in Naantali, Finland. 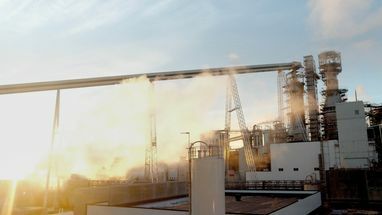 The new boiler is fourth unit at Naantali power plant site. Other three boilers were only using coal as fuel, but the new CFB-boiler can use up to 60 % renewable fuel. – Customer wanted to increase the usage of renewable energy at the old site. 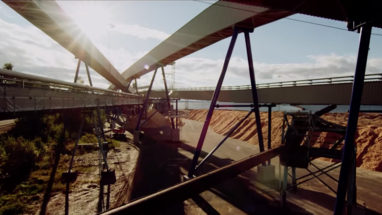 We designed a solution where both coal and biofuel can be used, Project Manager Jonne Vilen describes. Although this project required new foundations and new buildings, it was designed to work with the existing power plant. – Especially robbing the coal from the conveyor which has been built several decades ago was complex to build, also taking into consideration that installation was done during relatively short stoppage of the old conveyor. After installation stoppage the old conveyor was still delivering fuel also to old part of plant, so there was no chance for failure. – We succeeded very well, and the site has been fully operational since start up. Raumaster delivered a complete range of solutions starting from the truck terminal and truck scales all the way to the ash handling. Watch the video of the project below. 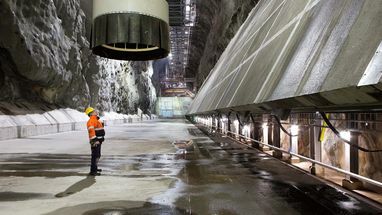 – The start up of the new unit was in 2017 and the construction site was selected as a project of the year 2016 by Rakennuslehti, a Finnish construction and building journal.